1) (Lord Grey of Codnor; summoned to Parliament 1299, abeyance 1495). Barry of six ar. and az. in chief three torteaux. 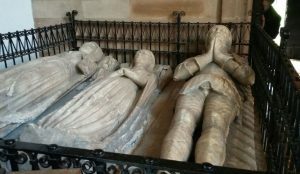 2) (Lord Grey of Wilton: summoned to Parliament 1295, attainted 1603; descended from Codnor). Same Arms, with a label of three points ar. Crest—On a hand lying fessways couped at the wrist ar. bracelet or, a falcon of the last wings expanded. Supporters—Dexter, a wyvern or; sinister, a lion ar. ducally crowned or. 3) (Lord Grey of Ruthyn; summoned to Parliament 1322, descended from Wilton, abeyance 1863). Same Arms as Grey, of Codnor. Supporters—Dexter, a wyvern or; sinister, a lion ramp. reguard. gu. 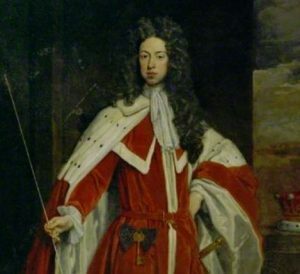 4) (Earl and Duke of Kent; the fourth Lord Grey of Ruthyn created earl 1465, the twelfth earl created duke 1710, extinct 1741). Motto—Foy est tout. (Norton, near Stockton-on-Tees). (Morwick, co. Northumberland; a branch of Grey, of Howick. 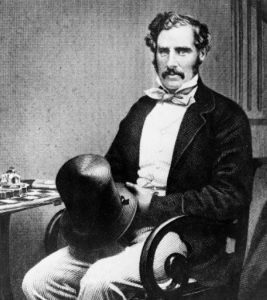 John Grey, Esq., of Morwick, Major-General in the army, C.B.). Same Arms as Grey, of Codnor. Crest—On a chapeau gu. turned up erm. a wyvern or. Supporters —Two wyverns or. 5) (Lord Grey of Groby, Marquess of Dorset, and Dale of Suffolk; attainted 1554; summoned to Parliament 1449, the third lord created marquess 1475, third marquess created duke 1551; descended from Ruthyn). 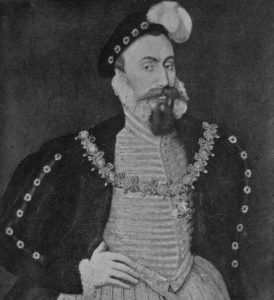 (Viscount Graney; created 1535, attainted 1541; descended from Groby). (Whittington, Envil or Enville, and Kinver, co. Stafford). Same Arms as Grey, of Codnor, with a label of three points erm. 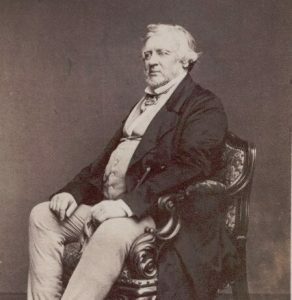 6) (Lord Grey of Groby, and Earl of Stamford and Warrington; male heir and representative of the house of Grey; descended from Groby). Motto—A ma puissance. Barry of six ar. and az. Crest—A unicorn pass. erm. armed, maned, tufted, and unguled or, in front of a sun in splendour. Supporters—Two unicorns erm. armed, maned, tufted, and unguled or. 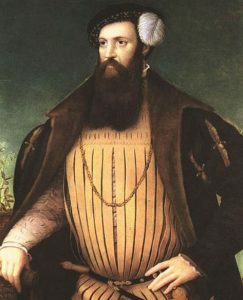 7) (Lord L’lsle, and Viscount I’Isle; created 1483, extinct 1512; descended from Groby). Same Arms as Grey, of Codnor, with a label of three points ar. 8) (Lord Grey of Rotherfield; summoned to Parliament 1297: John, second lord, was one of Founder Knights of the Garter, title passed to the Viscounts LoveI, attainted 1487; descended from Codnor). Same Arms as Grey, of Codnor, with a bend gu. 9) (Lord Grey of Powis; summoned to Parliament 1482; Earl of Tankerville, in Normandy, abeyance 1552). 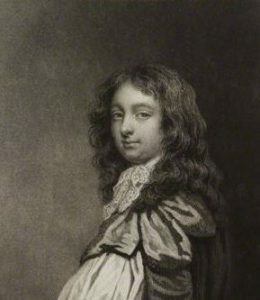 (Lord Grey of Werke, and Earl of Tankerville; created 1642 and 1695, extinct 1706; descended from Powis). 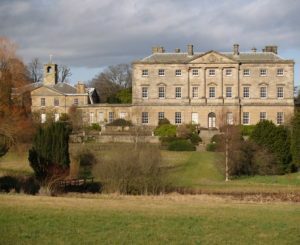 (Chillingham. 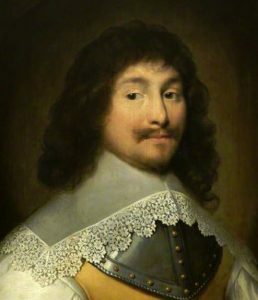 co. Northumberland, bart., extinct 1706; descended from Sir Thomas Grey, Knt., of Heton, brother of Sir John Grey, who was created Earl of Tankerville in Normandy by Henry V., 1418). Gu. a lion ramp. and a border engr. or. 10) (Lord Grey of Howick, and Earl Grey; descended from Powis). Motto—De bon vouloir servir le roy. Gu. a lion ramp. within a bordure engr. ar. Crest—A scaling ladder or. Supporters— Dexter, a lion guard. purp. ducally crowned or; sinister, a tiger guard, ppr. 11) (Falloden, bart. ; descended from Howick). Motto—De bon vouloir servir le roy. Same Arms, a mullet for diff. Crest—A scaling ladder in bend sinister or, hooked and pointed ar. 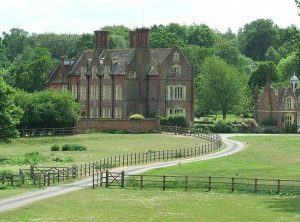 12) (Segenhoe, co. Bedford, Essex, and Pellham, co. Hertford). Ar. a bend vert cotised dancettee gu. Crest—A demi woman couped at the waist ppr. hair flotant or, holding in each hand a sprig of laurel vert. 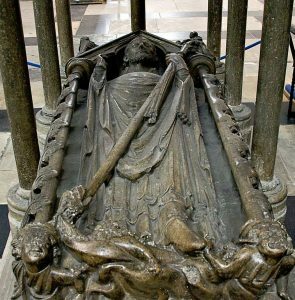 13) (Southwick, co. Durham; Sir Arthur Grey, of Wilton, temp. Elizabeth). Barry of six ar. and az. Crest—Upon a sinister glove lying fesseways ar. a falcon rising or, encircled with a band of honeysuckle ppr. 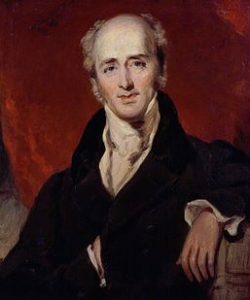 14) (Sir Charles Edward Grey, Knt., K.C.II., of the Oaks, co. Surrey, appointed one of the Judges of the Supreme Court at Madras in 1820, son of Ralph William Grey. F.sq., of Backworth, co. Northumberland, by Elizabeth Brandling, his wife). Barry of six ar. and az. on a bend gu. three bezants or. 15) (co. Derby, and Broadgate, co. Lincoln). Barry of six ar. and az. in chief three torteaux, and a label of five points of the second. 16) (Jofard, co. Lincoln, and Barton, co. York). Barry of six ar. and az. over all a bend gobony or and gu. 17) (co. Essex). Ar. a bend az. betw. two cotises wavy gu. 18) (co. Hereford). Ar. two bars az. on a bend gu. three chaplets or. Crest—On a mount vert a bar or. 19) (Langley and Donnington, co. Leicester). Barry of six ar. and az., a bordure gobony counterchanged, on a canton quartered or and gu. a boar pass, of the first within a bordure sa. bezantee. Crest—Out of a ducal coronet az. a demi peacock in pride ppr. 20) (Ilchester, co. Norfolk). Az. a fesse betw. two chev. or. Crest—A dragon’s head or. 21) (Merton, co. Norfolk). Same Arms, chev. erm. 22) (Chillingham and Berwick, co. Northumberland, temp. Henry V.). Gu. a lion ramp. ar. a bordure engr. of the last. Crests—1st: A scaling ladder ar. ; 2nd: A ram’s bend ar. 23) (Horton, co. Northumberland). Ar. two bars az. on a bend gu. 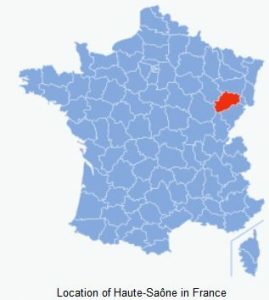 a bezant. 24) (Thrandeston, co. Suffolk). Gu. a lion ramp. erm. double queued ar. a bordure engr. of the last. Crest—A unicorn pass. gu. bezantee, crined, armed, hoofed, and ducally gorged or. 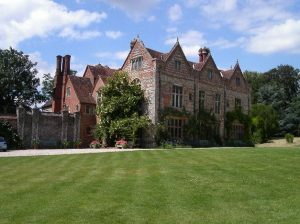 25) (Wolbeding, co. Sussex, and Barton, co. York). Barry of six ar. and az. a bend gobonated or and gu. Crest—Out of a ducal coronet per pale or and gu. a demi eagle, wings elevated ar. 26) (Kingston Mereward). Barry of six ar. and az. a label of five points gu. on each three bezants. Crest—A badger ppr. 27) (Beverley, co. York, 1666). Barry of six ar. and az. as many fleurs-de-lis or, three, two, and one. Crest—On a chapeau gu. turned up erm. a wyvern or. 28) Barry of six ar. and az. on a bend gu. three leopards’ faces (another, jessant-de-lis) or. 29) Barry of six ar. and az. over all a fleur-de-lis or. 30) Sa. three lions’ heads erased ar. 31) Gu. seven lozenges or, three, three, and one, joined together, over all a bend gobonated ar. and az. 32) Quarterly, ar. and az. a label of three points gu. on each as many bezants. 33) (Ireland; Patent 1612). Ar. three bars az. in chief as many annulets gu. Crest—A griffin’s head erased ar. beaked or, holding in the beak an annulet gu. 34) (Impalement Fun. Ent. 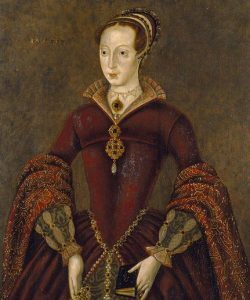 1607, Mary Grey, buried at St. Katharine’s, Dublin, wife—1st, of John Jennings; 2nd, of William Pigott, Mayor of Dublin; and, 3rd, of Giles Allen, also Mayor of Dublin). Barry of six ar. au point en point vert and sa. 35) Ar. on a bend betw. two cotises az. three griffins pass. or. The last name Grey has several origin theories. First, it may derive from a nickname for a person with grey hair or complexion (in the same way the names Brown, White, and Black derive), ultimately deriving from the Old English word graeg. The bearers of this name in Ireland and Scotland were originally the Gaelic riabhach, meaning “brindled or grey”, which was Anglicized as Grey/Gray. Second, it might be a local name meaning “of Grey” (de Grey). It is a variant of the spelling of the surname Gray. In his book, An Etymological Dictionary of Family Christian Names, author William Arthur states it’s a locational name for a person from a town of Burgundy, France on the banks of Saone. He also states Rollo, Chamberlain, Robert, Duke of Normandy, received from him the castle of Crow in Picardy, and the family assumed the surname De Croy, which was later corrupted into De Gray. However, in his eighteenth century book, Patronymica Britannica, Mark Antony Lower states disagrees and states there is no evidence for this claim. He states the pedigree can only be traced back to Henry de Grey (1115-1219, son of John, who was granted the manor of Thurrock in county Essex, by King Richard I of England, (known as Richard Coeurde lion or Richard the Lionheart). One source asserts the family’s history/genealogy begins with a Boernician (a people who were Picts, Angles, and Vikings) family that lived in the Borderlands (area between Scotland and England), and mentions that the Gallo-Roman given name Gratus means either pleasing or welcome. 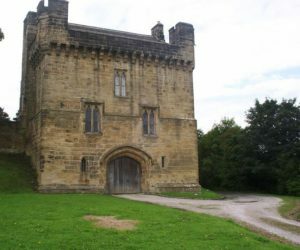 This same source believes the first bearer was Anschatel Groy (or Antschitill Grai) of Haute Saone in Normany, who came to England as a companion/knight of William the Conqueror during the Norman Invasion of 1066 AD, and settled in Chillingham, Northumberland. From him sprang numerous branches of this family (ex. Grays of Suffolk, Kent, Tankerville). George Fraser Black’s, The Surnames of Scotland, published in 1946, states the following in regard to the surname Grey: “Perhaps from Gray, a town in the department of Haute-Saone, France. The first of the name recorded in Scotland is Hugo de Gray, witness in a charter by Walter de Lundin, a. 1248. The surname is now common all over Scotland. John Gray, mayor of Berwick, witnessed a gift of land to the Hospital of Soltre between 1250—66. 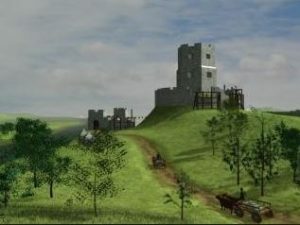 William de Grey witnessed resignation of the lands of Nysebyte by William de Nysebyte, 1255, and William Gray was a charter witness at Newton of Ayr, c. 1280. Robert Gray, castellan of Banff in 1291, was probably an Englishman. Henry Grey of Fife rendered homage in 1296, and Huwe Grey, juror on an inquest at Berwick, also rendered homage. John Gray was provost of Crail, 1327 (ER., I, p. 65). William dictus Gray witnessed a chartet by Muriel, widow of Sir William de Rose, between 1333—63 (Rose, p. 117). John Gray of Broxmouth had a charter of the lands of Craigy in le Mernys, 1357 (SCM., V, p. 247), and Laurence Gray was custumar of Montrose, 1359 (ER., I, p. 612). 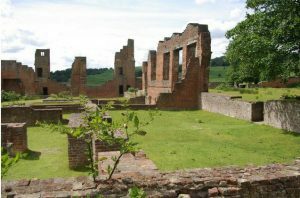 The land of Molyne was leased to Ibbote Gray in 1376 (RHM., r, p. lviii), and John Gray was rector of the church of Feme in Angus, 1394 (RAA., II, 42). William Graa was one of the prominent men of Orkney in 1427 (Oppressions, p. 109), Robert Gray, “chamerlane of Aberbrothoc,” 1497 (RAA., II, 383), and John Gra, tenant in Raynstruder, 1531 (Rental). See under Macglashan”. Common spelling variants or names with similar etymologies include Gray, Graye, Croy, and Groy. The last name Grey ranks 2,691st in popularity in terms in the United Status as of the 2000 Census. The name ranks particularly high in the following five states: Connecticut, New York, Florida, New Mexico, and Georgia. The surname Grey frequency/commonness ranks as follows in the British Isles: England (822nd), Scotland (1,112nd), Wales (464th), Ireland (1,311th) and Northern Ireland (1,670th). In England, it ranks highest in Northumberland. In Scotland, it ranks highest in Shetland. In Wales, it ranks highest in Caernfonshire. In Ireland, it ranks highest in Longford In Northern Ireland, the surname Grey ranks highest in Fermanagh. The name is also present throughout the remainder English speaking world: Canada (2,465th), New Zealand (568th), Australia (889th), and South Africa (1,790th). The 1890 book Homes of Family Names by H.B. Guppy, states the following in regard to this surname: “Gray is, generally speaking, confined to the whole length of the eastern coast of England from Northumberland to Kent and to the inland counties immediately adjacent; and it advances in force across the border into southern Scotland. It also extends along the south coast of England, excepting Sussex, to Hants and Dorset. The manner in which this name is restricted in England to the coast and its vicinity is particularly remarkable. 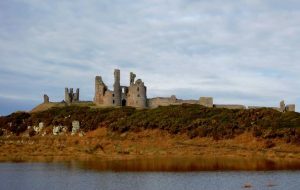 It is mingled in the counties of Northumberland and Durham with Grey, of which the former county may be considered the home. The peculiarities in the distribution of these names are but little explained when we refer to the Hundred Rolls of the reign of Edward I. At that time both names were numerous, but Grey had the preeminence. Strange to say, at that time Grey was numerous in Kent, whilst Gray was particularly frequent in Lincolnshire, where it was also associated with Grey. The two – names were also well represented in Oxfordshire, Bucks, Cambridgeshire, and adjacent counties, and probably also in some other parts of England that are scantily referred to in the Hundred Rolls Coming back to the present distribution of the names, I notice the circumstance that the Graysons are confined to Yorkshire”. The Hundred Rolls of 1273 AD, a census of Wales and England, known in Latin as Rotuli Hundredorum lists one bearer of this surname: Eva de Grey in county Somerset. An early marriage involving this surname was Katharine Grey to William Knevett in 1523 AD. The famous genealogist Bernard Burke’s book “The Landed Gentry” discusses numerous branches of the Gray family, but only one of the Grey family: Grey of Styford. It begins with a mention of Henry Bacon-Grey, Esquire of Styford, Northumberland, who was born in 1837 and succeeded his brother in 1861. The Grey genealogy of this branch begins with John Bacon, Esquire of Staward Peel, Northumberland, who was High Sheriff in 1693 and died in 1736, leaving a son and hier named William. William Bacon was Esquire of Staward Peel and Newton Cap in Durham, as well as High Sheriff of Northumberland in 1745. He married Margaret, daughter of Thomas Foster of Edderstone, and had issue with her. Later down the lineage and pedigree came one Charles Bacon, Esq. of Styford and Northumberland who in 1790, married Dorthoy, daughter of Marmaduke Grey, and had the following issue with her: John William, Charles, Thomas, Eleanor, Sarah, Jane, and Frances. The Grey Coat of Arms or Grey Family Crest was blazoned in heraldry as follows: Arms of Bacon, granted in 1752, Ermine a wild boar passant azure bristled and armed or, on a chief of the last two mullets gules, of Grey (allowed at the Visitation of Northumberland, 1615): Gules, a lion rampant within a bordure engrailed argent a martlet or, for difference, quartering Lowther, Foster of Edderstone, etc. Crest (of Bacon): A demi wild boar rampant azure bristled and armed or, vulned in the shoulder proper, in the mouth a tilting spear argent. There are landed/noble Grey families and significant bearers too numerous discuss, and branches in the family tree too numerous to show, but we will provide one Grey genealogy and lineage here. Burke traces this family back to a family of great antiquity in Northumberland, England, beginning with Sir John Grey, Knight of Berwick who lived in 1372 and was the father of Sir Thomas Grey, Knight of Berwick and Chillingham who died in 1402, and by wife Jane, daughter of John Mowbray, the Duke of Norfolk, five issue: Sir John Grey of Heaton (Earl of Tankerville), Sir Thomas Grey (of Werke), William Grey (Dean of York and Bishop of London in 1426), Sir Henry Grey (of Ketteringham, Norfolk), and Matila Grey (married Sir Robert Ogle). 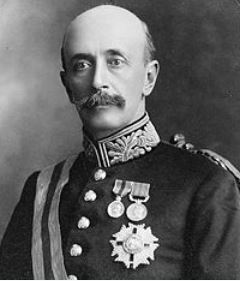 The lineage goes on for numerous generations and Burke ends the discussion with Sir Charles Robert Grey, the Earl Grey, Viscount of Howick, Baron Grey, who was born in 1879 and succeeded his father as the 5th Earl in 1917. He was a Major in the Army and served in World War I. In 1906, he married Lady Mabel Georgiana Palmer, and had issue with her: Mary Cecil (married Sir Evelyn Baring) and Elizabeth Katherine (married Lieutenant Colonel Ronald Dawnay). The Grey Coat of Arms (erroneously called Grey Family Crest) was blazoned in heraldry as follows: Gules, a lion rampant within a bordure engrailed argent, in dexter point a millet or. Crest: A scaling ladder, or, hooked and pointed sable. Supporters: Dexter, a lion guardant purpure, ducally crowned or; sinister, a tiger guardant proper. 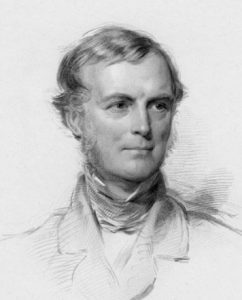 Burke begins the discussion with a mention of the Baron Grey de Ruthyn, John Lancelot Butler-Bowdon), who was educated at Mount St. Mary’s College who was a Justice of the Peace in county Derby who was born in 1883. The title was called out of abeyance in his favour in 1940, when he became the 25th Baron. Burke traces the Grey genealogy or family history of this branch back to Henry de Grey, from the Manor of Thurrock, county Essex, who lived during the reign of King Richard I of England. 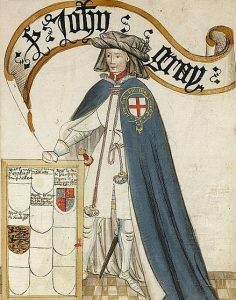 He married Isolsa, niece and heir of Robert Barfolph of Codnor, and had six sons with her: 1) Richard (ancestor of Barons Grey of Codnor), 2) John (Sheriff of Buckingham and Bedford), 3) William (of Landford, Nottingham), 4) Robert (progenitor of the Barons Grey of Rotherfield), Walter (Archbishop of York 1216), and Henry. The Grey Coat of Arms (erroneously called Grey Family Crest) was blazoned in heraldry as follows: Quarterly of eight, 1st and 8th, Clifton: Sable on a bend argent, three mullets gules ; 2nd, Hastings ; Quarterly, 1st and 4th, argent a maunch, sable; 2nd and 3rd, Rawdon : Argent a fesse between three pheons, sable. ; 3rd Yelverton: Argent., three lions rampant sable, chief gules; 4th Per saltire, az. and or, a lion rampant counter-changed ; 5th Yelverton: Argent, three lions rampant and a chief gules; 6th, Longueville: a fesse dancettee ermine, between six cross-crosslets arg. ; 7th Grey de Ruthyn: Barry of six, argent and azure, in chief three torteaux. Crest—A dexter arm embowed in armour holding a sword proper. Supporters—Dexter, a wyvern or, collared and lined gules; sinister, a lion reguardant gu. The discussion begins with a mention of Sir Charles George Grey, 4th Baronet, who was born in 1880 and succeeded his kinsman in 1933. In 1910, he married Jessy Elizabeth, daughter of Paton Sutherland of South Africa. Burke traces the lineage back to the Honorable Sir George Grey, 1st Baron, who was Captain in the Royal Navy born in 1767. The Grey Coat of Arms (erroneously called Grey Family Crest) was blazoned in heraldry as follows: Gules, a lion rampant within a bordure engrailed argent, a mullet for difference. Crest: A scaling ladder in bend canister or hooked and pointed sable. Immigration and other records of early Americans seem to sparse in regard to this surname, relative to other names. A one Daniel Grey came to Virginia in 1654. It also appears to be present in the Carribean from an early time: Ursula Grey was buried in St. Michael’s parish in Barbados in 1678. In Canada, two of the earliest bearers were Daniel and Mary Grey, who came aboard the Salus in 1833 and arrived in Saint John, New Brunswick. In Australia, John Grey, a miner who arrived in New South Wales, was one of the earliest bearers of the same in that country, having arrived in the late 1820s or early 1830s. 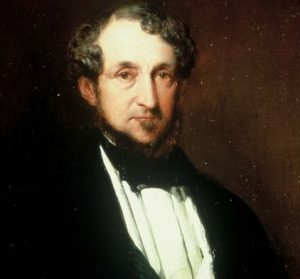 Two of the earliest bearers in New Zealand were Benjamin and George Grey, who camein 1843. There are hundreds of notable people with the Grey surname. This page will mention a handful. Famous people with this last name include: 1) Albert Henry George Grey (1851-1917) who was the 9th Governor General of Canada and 4th Earl of Grey who was a radical liberal aristocrat, 2) Lady Jane Grey (1536-1554) who was an English noblemen who was the de facto monarch of England and Ireland in 1553, 3) Sir Raleigh Grey (1860-1936) who was a British coloniser of Southern Rhodesia who played an important role in the early colonial government, 4) Peter Zane Grey (1872-1939) who was an American dentist and author who was known for his novelist in the Western genre, 5) Al Grey (1925-2000) who was a jazz trombonist who was associated with Count Basie’s orchestra, 6) Alex Grey (1953) who was an American artist and Vajrayana practitioner, 7) Charles Grey (1729-1807) was the 1st Earl Grey who was a British general who served in Seven Years’ War who also served in the American War of Independence, 8) Sir Henry de Grey of Grays Thurrock (1155-1219) who was a favorite court member of King John Of England, 9) Lita Grey (1908-1995) who was born Lillita Louise MacMurray Grey who was an actress and wife of Charlie Chaplin, and 10) Nigel de Grey (1886-1951) who was British codebreaker who was the grandson of the 5th Lord Walsingham. The four main devices (symbols) in the Grey blazon are the barry, torteaux, lapel and lion. The two main tinctures (colors) are azure and argent. When the field of the shield is filled with alternately coloured horizontal lines, this is known as barry, obviously because it is like having many separate bars across the field 5A Glossary of Terms used in British Heraldry, J.H. Parker, Oxford, 1894, Entry:Barry. Such shields have great clarity from a distance, those awarded by Henry III of England to Richard de Grey were, for example, Barry argent and azure, simple blue and white horizontal stripes. According to Wade, there was no specific meaning to be attached to barry itself, but it affords the opportunity to display at equal importance two colours that may themselves have specific meanings 6The Symbolisms of Heraldry, W. Cecil Wade, George Redway, London, 1898 P55. For easy recognition of the items on a coat of arms, and hence the quick identification of the owner, bold simple shapes are best. Hence, simple geometric shapes are often used for this purpose 7A Complete Guide to Heraldry, A.C. Fox-Davies, Bonanza (re-print of 1909 Edition), New York, 1978, P146 One of the simplest such shapes is the plain circle, known to heralds as the roundle. 8A Glossary of Terms used in British Heraldry, J.H. Parker, Oxford, 1894, Entry:Roundle So popular is this charge that a shorthand has arisen for roundles of a particular colour and torteau is a roundle gules, or red. (We must be careful however not to confuse this with the word in French heraldry, in which torteau means roundle and must have the colour specified.) Most authorities agree that the English usage signifies the “Manchet cake” or communion wafer and thus is a symbol of religious allegiance. I once saw a Grey family crest which had a bat at the top. I cannot find it now that a friend asked me to do so. Can you help?